Choosing a car: should you buy or lease it? camera (Getty Images) Here are five things to consider when buying or leasing a car. intro: If you're trying to decide what kind of car to get next, you may be wondering: "should I buy or lease?" If you want to get a flashy new Corvette, or maybe just avoid used car dealerships, you may be thinking that leasing is the most attractive option. But what are the tradeoffs to buying vs. leasing your next car? Experts say it's often a question of your lifestyle. quicklist: title: Can you commit? text: If you know you need a car for just a short time, leasing can be the better deal. "If you compare leasing versus buying over a five-year period—using a $20,000 car purchase price—leasing is typically cheaper," said Clari Nolet, a financial advisor based in Palo Alto, Calif. 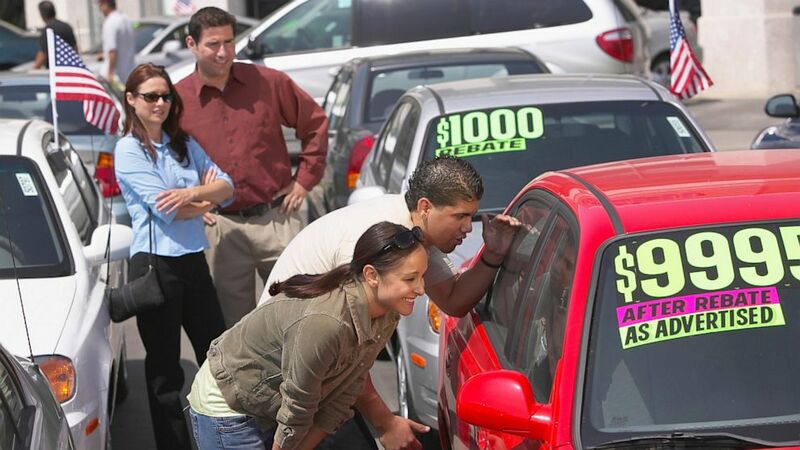 When you keep your car longer, "you build up equity and when you are ready for a new car the trade in value often can be utilized as a down payment," she said. A few factors to consider: how long did you keep your last vehicle? Do you often want to purchase new vehicles based on preferences or hobbies? How likely is it you will have a change in your family life or income level that may necessitate a new vehicle? quicklist: title: How far will you go? text: Nolet added that the largest hidden cost occurs when a leaseholder drives more miles than a standard three-year lease allows for. "Typically you must stay within 36,000 to 45,000 miles, or you start to ring up charges at $.20/mile or more, and it can add up quickly," she said. "When your lease is up, you have to come up with the cash for a new down payment." If you're driving the car a lot, it's hard to avoid wear and tear. CFP Ben Gurwitz, based in San Antonio, Texas, pointed out that any ding, scratch or dent on the car is assessed at lease trade-in. quicklist: title: Be sure to protect yourself. text: Drivers who lease a car need to be prepared if a car is wrecked and you owe more to the lease company than the insurance will pay. Because you lease the car, rather than own it, you have distinct vehicle insurance needs. CFP LaKhaun McKinley, based in Champaign, Ill., said he recommends leaseholders purchase Guaranteed Auto Protection (GAP) Insurance, which most major car companies should include. GAP insurance covers the difference between the cash value of the vehicle, and the remainder owed on the lease contract, McKinley explained. Imagine you get in an accident with your leased car—the GAP insurance should cover the amount you still owe on the lease. "Without GAP insurance, you could end up with a large payment for a car you can't drive," McKinley said. GAP coverage is included in many auto leases, so be sure to check. quicklist: title: Beware of hidden fees. text: Gurwitz pointed out that leases can have "massive" hidden fees. "Some states, like Texas, even charge sales tax on the full sale value of the vehicle upon lease," Gurwitz said. If you want to get out of a lease early, you could be looking at a substantial payout. Also, just because protecting yourself by purchasing GAP insurance is a good idea, that doesn't mean that "protection products" offered by the car lessor will do the same thing. Dealerships love to offer features like windshield protection or maintenance fees—demand details on exactly what these features entail, and think twice before buying them. Another concept to make sure you understand before you ink any lease deals is the capitalized cost of the car. Your lease payment is determined by subtracting the vehicle's estimated worth at the end of the lease from the capitalized cost, which means the amount the leasing company paid for the car. As you discuss lease terms with a leasing company (usually a car dealership), you may hear the term "capital cost reduction" -- that just means your down payment, which is being subtracted from the capitalized cost as well. Review the lease rate carefully -- that's essentially the interest rate you are paying in the lease financing arrangement. Shop around and compare these rates. Dealers can inflate them to yield a greater profit. Also, be sure you know the price of the car the lease contract is based on. Just as with buying a car, the lower that sticker price, the lower your payments. Amelia Granger is a senior analyst at NerdWallet, a website dedicated to providing unbiased financial information and helping consumers find the best financial advisors, savings accounts, credit cards and many other financial products.